As such for many years now, it has managed to gather hundreds of participants and top speakers including Mike Massimino, former NASA astronaut; Dhiraj Mukherjee, co-founder of Shazam, Jon Bradford, co-founder of F6S and Tech.eu and many other world-class speakers. But to give you a better picture of what Spark.me is about, we want to give you at least 5 reasons why you should join for this year’s event. 1. Tivat, Porto Montenegro, Kotor Bay, etc. So you know that in our Balkan head, we all call Budva the Monaco of the Balkans, so it’s up to you to start picturing it right now. In other words, Budva is the main tourism destination of Montenegro thanks to the great number of beaches and hotels that make this the most desirable tourist destination. Tivat is no different. Tivat is located in the central part of the Kotor bay. Although it is the youngest town in the Boka region, Tivat has a lot of interesting and attractive destinations. Renaissance Summer House Buca in the center of the city, Ostrvo Cvijeca (flowers’ island) with sacred monuments, Gornja Lastva, the old nucleus at an altitude of 300 m, the magnificent beach at Plavi Horizonti and the island Sv. Nikola is tourist destinations that should be visited in Tivat. The city has a natural marina – Kaliman. Tivat is also the only place at the littoral with an airport. There is an abundance of cultural events, such as Bocarska Olympiad and Ljetnje Feste. But there is one top place that should not be missed – Porto Montenegro. Today, Tivat is one of hottest spots on the Mediterranean because of Porto Montenegro – new modern marina for luxury yachts, with amazing settlement behind. If you’re reading Digitalspoiler.com and never heard of Game of Thrones, you’re in the wrong place… ehem… but those of you who know about Game of Thrones, know that Dubrovnik, was the main filming location in Croatia for King’s Landing. 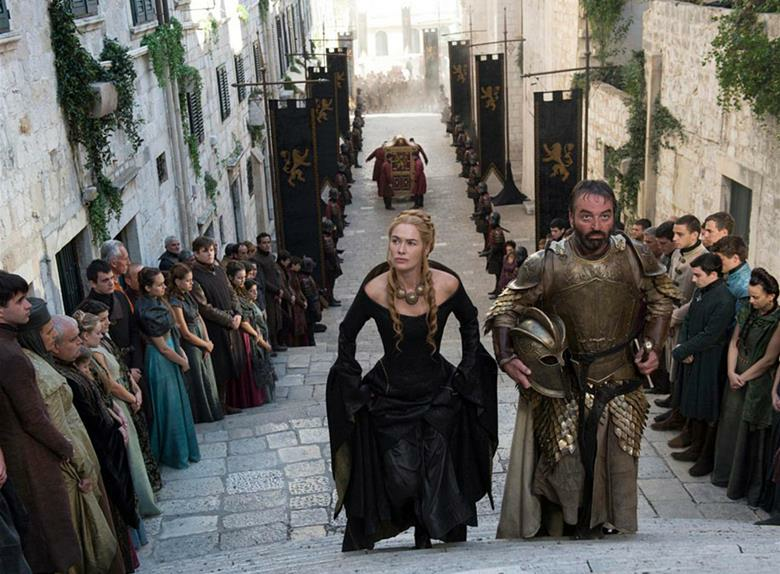 For those who have seen the series and are passionate about it, a visit to Dubrovnik will become a beautiful déjà vu because of the way in which it was so well integrated into the setting of the series. Located only about 1 and a half hours away from Tivat, a visit to Dubrovnik after the conference is a must. Mike Massimino, former NASA astronaut; Dhiraj Mukherjee, co-founder of Shazam, Jon Bradford, co-founder of F6S and Tech.eu and many other world-class speakers have been part of the previous Spark.me editions. As Dave Briss says “Please have me back, please have me back, please have me back”, that’s who the speakers feel when they speak for the first time at Spark.me. The event is a great chance to learn from the best around the world, to network with people from the region and to also get the chance in a more intimate way to talk to a famous speaker, whom you wouldn’t have the chance to shake a hand with at a conference with a scale such as Web Summit or The Next Web. Spark.me continues its tradition of bringing together successful startups from all over Europe in its annual Startup Competition. The competition is focused on innovation, the impact of the idea, the startup’s potential to grow and team diversity. Participating in the competition enables startup founders to have access to advisers, mentors, workshops, and a network of investors, industry experts, and serial entrepreneurs. The grand prize for the winner of the Spark.me Startup Competition is the opportunity to exhibit in the TechCrunch Disrupt San Francisco 2019 Startup Alley. An excellent chance for all start-ups from the Balkan region to apply (Applications are open until April 15, 2019). One thing about smaller conferences compared to other 5,000 + people conference organized around Europe, is the fact that you can actually mingle with the speakers and have a coffee or beer with them during brakes or after-parties. This is close to impossible in the larger European conferences, and that’s one of the things we enjoy about Spark.me. Hell, we can always share more insights about the Balkan region to top editors from various tech media such as the TechCrunch, which otherwise would be a no go. So don’t over think it. Come down to Budva and buy a ticket for Spark.me here.